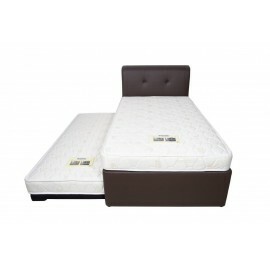 One of the greatest advantages of this bed is that it can play different roles. If you have a small room that cannot accommodate other pieces of furniture, then this is the best option for you. The fact that you can use it for different functions, also makes it cost effective because it saves you the money to buy the different pieces of furniture.